We're not just selling a home, we're selling the community. 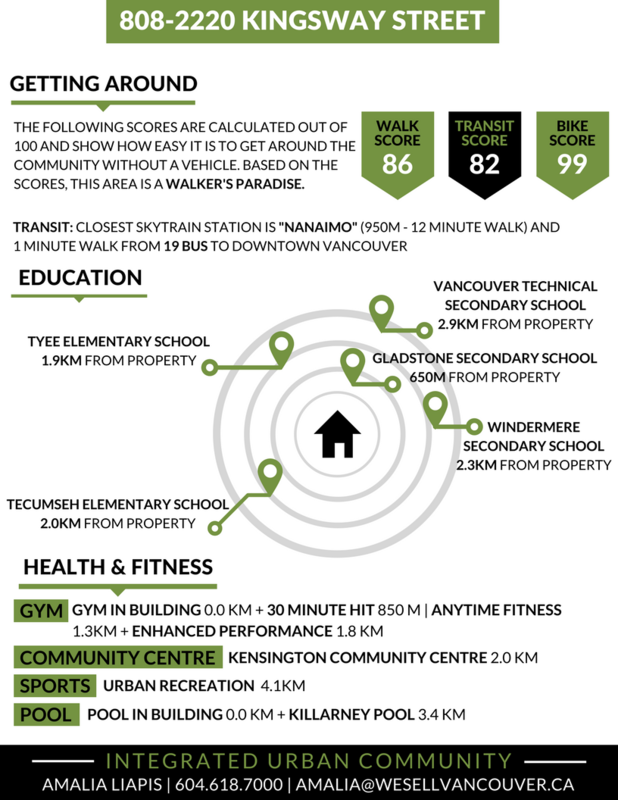 With a walk score of 86, it's no doubt that our newest listing at 808-2220 Kingsway Street is in a prime location. 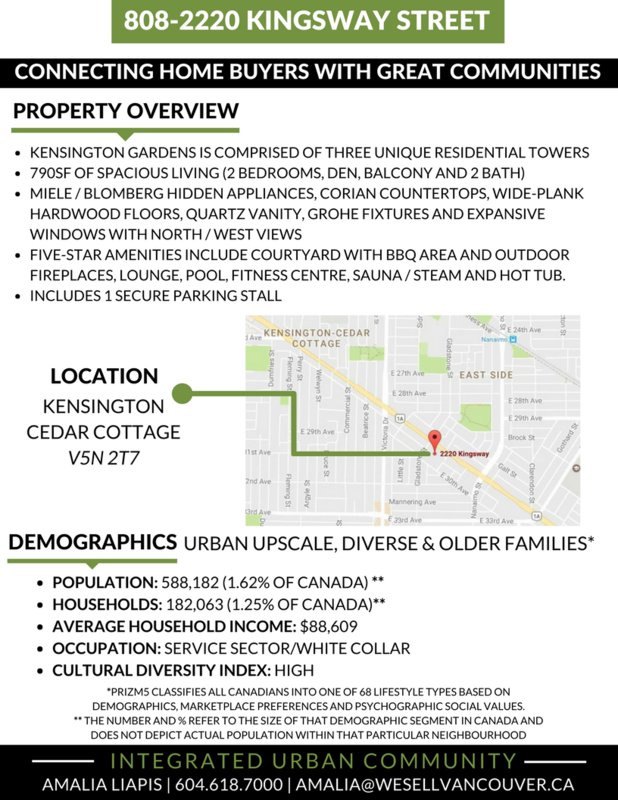 Take a look at our community profile to see what's in the area! 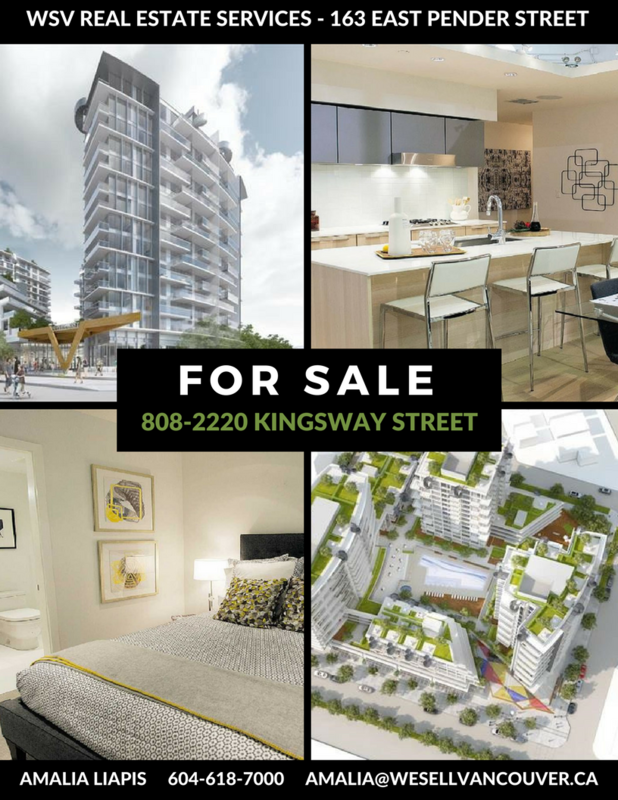 Contact Amalia Liapis at 604-618-7000 or at amalia@wesellvancouver.ca for more details. Additional information can be found here.